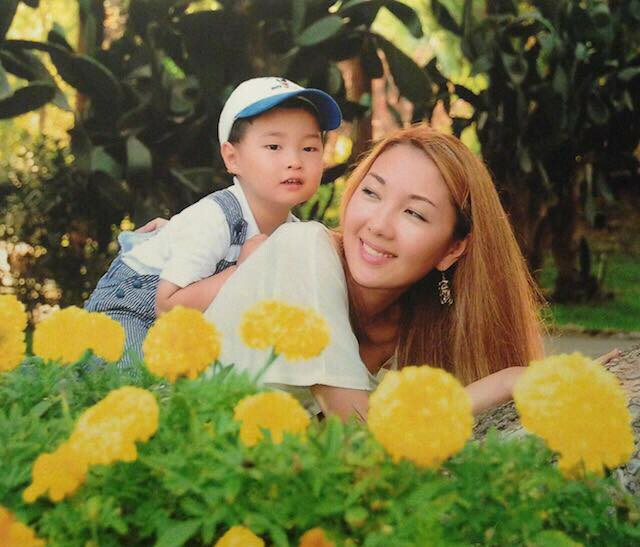 My name is Saltanat and I’m the mother of a wonderful six-year-old boy, Lian. I’m here to share with you with the brief story of my own path. I see it as not the battle with acceptance of autism (like many people do) but the battle with our own acceptance, as it does not always come immediately. Our family is multicultural. I’m from the Kazakh minority, was born in Russia and lived there until I turned twenty-two. My husband is Chinese and had spent fifteen years working in Russia. Lian was a very expected child, so of course we, just like all other young parents, had been preparing the brightest future for him with possibilities for study, travel and all the things that bring joy to people’s lives. But when Lian was six months old, I started noticing some unusual things and wondered if he would experience normal development. I struggled with what normal even means because we know developmental milestones are very different for each child. Maybe it’s better to refer to children without disabilities as "typical". We were exhausted, scared, confused and heartbroken with our son's diagnosis for the first month, but we worked hard to help him and ourselves to accept it and remain happy. The cultural environment we used to live in, when Lian was diagnosed, was full of fear, embarrassment, and ignorance because it lacked autism awareness. For most people in our society this diagnosis seemed like the darkest future, so we decided to travel to find answers. For families with special needs children, the worst thing, that makes them weak and discouraged, is not having clear answers to their questions. Constantly getting different and conflicting information intensifies the struggle. I know it very well being the Mom of an ASD child and having a niece with cerebral palsy. We traveled to Hong Kong, Moscow, and then decided to settle in Taipei. For the last four years I had to postpone my dreams of getting a great job and building success, and just figure out how to function and become successful in society. I disagree with the idea of what sacrificing your life for someone really means, because in many ways, love is sacrifice, so maybe we should just call it LOVE. All parents do put some of their plans or dreams on hold, at least temporarily. 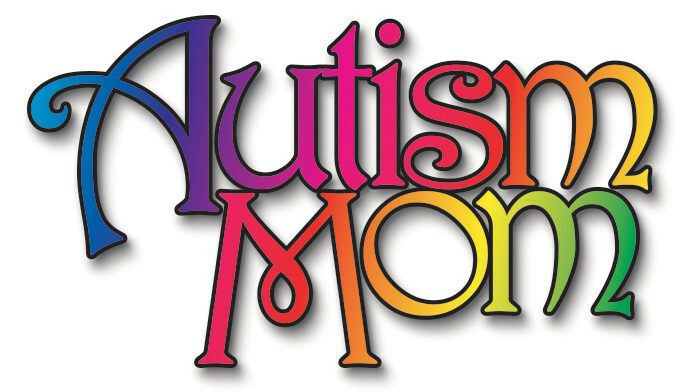 While I was gaining more knowledges about autism treatment and becoming more confident in doing the home therapy that I organized for my son, I got the sense that actually it is not a sacrifice, it’s just finding happiness and success another way. People can achieve it just by focusing their strength on things that are most meaningful right now, and letting dreams come true. I realized my strength only when I obtained the most needed thing for SNC (special needs children) families~knowledge. Then I had to make a decision to learn and use scientific and evidence-based therapies for my child, or just hope and pray. Unfortunately there is still too much speculation and misinformation in this field, and some specialists are not well-researched. I have learned how to support my child with therapy in his daily routine, and how to let him be involved in a neurotypical children’s environment, while keeping myself busy. We needed about 1 year to get adapted to our new life and at this time a new stage of my life started. This stage was having another person who is non-stop learning , and valuing every moment with this child and all the people I love. Knowing new people who bring so much new knowledge, power, and energy to your life helps you realize that you need have a very clear plan of what must be done until the end of your life. You just get stronger than ever before, I call it the time of new sense. There are some things that I think parents have to learn: 1.Developmental delays do not mean developmental stops (trust that your work with the child will bring steady progress despite what milestone he’s at right now) ​2.Take care of yourself, so that you are able to take care of others. 3.​​Sort through the choices (recognize that there are no miracles. However, there are effective, evidence-based interventions that can change the life of your child, and can change yours dramatically as well.) Use them. 4. Trust our incredible kids who work even harder than anyone else. Some of the most troubling questions parents of children with special need have when kids are still young, “Will he or she ever be able to be independent?”, “Will society accept him?”, “Will he be able to study, work?”. I I learnt from my experience with such countries like the USA, first with the idea of including people with special needs as much as possible when children are still very young, that it starts from inclusion. They should be included in the mainstream educational system, by teaching them skills which they are lacking. This is what I started doing first when my child approached the age of preschooler. I organized support aids to allow his transition to a mainstream system. Additional possibilities like participating in various social activities such as swimming, sports, music are also good opportunities to let them show society their strengths, build their confidence, and not have everyone's attention focused on weaknesses. We can let our children be successful in society in their own way. All these children one day will become adults and our responsibility as parents and mentors is to let them be more functional, successful, and useful to their community as much as possible. There is a path for everyone, so let’s help these special children find theirs. Guan Xi Media provides compelling content and a platform for artists, writers, musicians, journalists, storytellers, photographers, explorers, entrepreneurs, activists, and philanthropists, from all around the globe. We welcome all genres and voices, and encourage anyone who has the desire to affect positive change and truth in the world, to join us and contribute. Guan Xi, Get some! Lost Tribe: Where are the Ketagalan at Taipei's Ketagalan Center?